Hello, I’m Aron, Las Vegas Best Mobile Mechanic. 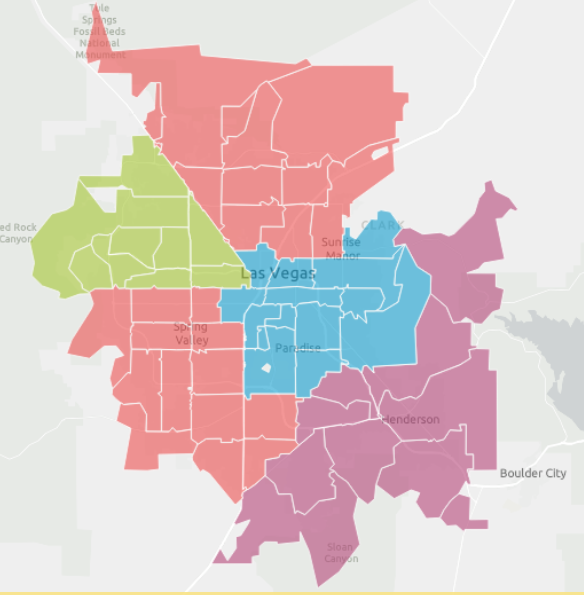 I bring you the convenience of getting your vehicle repaired at its location in Las Vegas without having to use your own personal time. When looking for mobile auto repair service in Las Vegas, you want a technician who’s not only knowledgeable, friendly and experienced but someone who’s very much reliable, honest, and provides a convenient service. That’s my guarantee! I am an ASE certified auto repair mechanic committed to offering you the most convenient, friendly, and economical service. With over 20 years of experience working on different types of automobiles, you can rest assured of high-quality automotive maintenance and repair services. I have the professional expertise, knowledge, and equipment needed to effectively diagnose and fix your vehicle problems so you can get back on the road quickly. 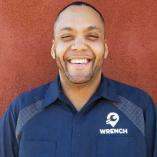 ​Aron is very courteous and an expert as an auto mechanic. He did a great job in performing what needed to be done and test drove my car to ensure reliability. Quick Clean and Efficient and a great price to boot. Ed S.
I provide you with the convenience of getting your automobile repaired fast without using your personal time by bringing the auto repair shop to you. It doesn’t matter whether you’re at work or at home cooking dinner, I will come to your aid and rescue. No longer will you have to contact a tow truck service or spend hours off trying to get your vehicle fixed at the shop. The professional and reliable service from Las Vegas Mobile Auto Repair is the solution. ​ If you notice something going wrong with your vehicle call the only Mobile Mechanic Las Vegas, NV that you need. As mentioned, you won’t have to schedule appointments with an auto shop to have your vehicle fixed. Whenever you’ll need an onsite automobile repair service in Las Vegas, simply make a call and I’ll come to you. No need to wait in line for auto service which means you’re able to save time. Furthermore, you can continue doing your job as I repair your automobile. I provide my clients with the convenience of not being inconvenienced thereby helping them to save time and money. The swiftness and high-quality of onsite auto repair service allows you to safely get back on the road fast. I don’t try to upsell my clients on things they don’t need. After diagnosing your vehicle problem, I give you the facts about the situation and let you decide. The fact that I don’t have the overhead of a traditional auto repair facility means you only pay for the specific parts used and direct labor. I stand by my word and do offer guarantee for my work. You can always call me if there’s a problem with a repair. My primary goal whenever I do any mobile auto repair service is to ensure complete customer satisfaction. I am an ASE certified car mechanic to give you the confidence that I have the professional expertise, training, and equipment to handle on-site mobile auto repairs in Las Vegas and the surrounding areas. As a leading mobile car mechanic in Las Vegas, I’m committed to making sure that your vehicle keeps running like the day you first bought it. I can take care of all your regular auto maintenance needs from any safe location your vehicle is parked. So avoid having the regret of not having your vehicle checked. Let Las Vegas’s Best Mobile Mechanic put his years of experience to practice by choosing him as your Las Vegas Car Repair specialist. The low overhead and efficiency that comes with a mobile car mechanic means you won’t be paying for the technician’s cost to rent an auto shop and other related costs. You only pay for direct labor and the specific auto parts used in repairing your vehicle. Brandon the mobile mechanic in Las Vegas offers the most reliable and convenient mobile auto repair service at unbeatable prices. My business is founded on honesty, reliability, and transparency, which is why I provide you with honest advice, fair prices, and quality auto repair work. Whatever rate we agree is what you’ll see in the invoice! Your car is an important aspect of your daily life and shouldn’t be taken for granted, therefore. When was the last time you had a general auto maintenance or repair? Perhaps you’re waiting for a major breakdown before you think of calling your personal mechanic or taking it to an auto shop. Without proper, regular maintenance, your car is likely to breakdown. You know how that would impact your everyday activities, don’t you? Just like the human body, your car needs proper care and maintenance. Never should you wait until it breaks down before you do something. That means you need a reliable, honest, and convenient auto repair service in Las Vegas to help you keep your automobile in top shape and running efficiently. Why not take advantage of the convenience and reasonable rates that come with hiring the best Las Vegas Mobile Auto Mechanic? No need to wait in line for an estimate at an auto repair shop or call a tow truck. Your car can get fixed while you prepare dinner, check your emails at work, or focus on whatever thing you need to do. You won’t have to use your personal time. Get the most reliable, honest, convenient, and affordable auto repair service at your location in Las Vegas today! When you need an onsite auto repair service at your home or office, you can trust Brandon the mobile mechanic in Las Vegas! Give Brandon the Mobile Auto Repair Mechanic Call today! Learn more about how a mobile mechanic can be a good choice for your automobile’s needs. 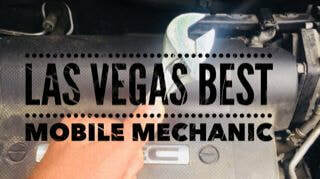 Call Las Vegas’s Best Mobile Mechanic today for more details!